As Herman Cain’s ‘Smoking Man’ viral video shows, the rules of the game are shifting for political-advertising buyers. 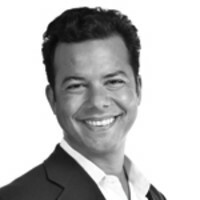 John Avlon on how ‘convergence’ is shaking up 2012. Plus, David A. Graham talks to the man in Cain's smoking video. In the two hours after Herman Cain’s “Smoking Man” video was released to the public, it was watched more than 100,000 times. Two days later, it had tallied nearly 700,000 views on the campaign’s YouTube channel alone—a total that doesn’t count multiple airings on cable-TV news for free. It also spurred a sharp spike in the Cain campaign's online fundraising. “We knew that it would be popular, but we didn’t know it would do this,” Michael Johnson, the Cain campaign’s director of new media, told me. “It was shot in the span of several minutes in front of a casino while the campaign was in Vegas for the debate … There wasn’t any script written—it was just Mark [Block, the campaign’s chief of staff] talking about what he thought needed to happen to fire up our troops.” Mission accomplished. This might finally be the election cycle when viral video gets some respect while breaking the chokehold that broadcast-TV advertising buys have on campaign budgets. The roughly 45 percent of total campaign funds that end up being spent on TV ads is no longer commensurate to their actual power or reach. Instead, it’s starting to look like a racket, reflecting a political-consultant playbook first fashioned in the 1980s that’s resistant to change. Make no mistake—we’re talking big bucks. The 2012 presidential-election cycle is expected to easily exceed $6 billion when all is said and done. The 2010 congressional midterms alone produced $3.6 billion in expenditures, outpacing the entire 2000 presidential campaign. And while the average percentage of the total “advertising buy” that media consultants take home has decreased from 20 percent to 10 percent, it is still major money for first making, and then placing, the ads on TV stations. The catch is that viral videos only reach the most active voters—the folks who are plugged in and following politics, rather than general-election persuadables and undecideds. But that approach is entirely consistent with trends like micro-targeting and the play-to-the-base philosophy propagated by Karl Rove and his inheritors. And there is already evidence of viral videos’ success in shifting presidential-primary momentum. In November 2007, Mike Huckabee’s campaign gained valuable traction closing in on the Iowa caucuses with a viral video featuring action star Chuck Norris, offering a balance of jokes and policy bona fides that helped humanize the conservative candidate by showing he had a sense of humor. The polls turned and Huckabee surged ahead in Iowa, winning the state despite Mitt Romney’s extensive and expensive courtship. Now, in the post–Citizens United, super-PAC world, a whole new brew of attack and advocacy ads will be flooding both our inboxes and our airwaves—the sideshow will find more ways to fight its way into center stage and drive the debate. But can’t candidates get a bigger bang for the buck doing more targeted cable and online viral videos rather than broadcast-advertising buys? That ever-growing pie is one of the dynamics that allow many contemporary media consultants to justify keeping the same ratio of TV-to-Internet expenditures in place. In many ways, the political world has been the last to feel the disruptive change that technology has wrought on every other industry. Most political consultants are like generals fighting the last war. They want to keep playing politics by Industrial Age rules instead of embracing Information Age reality. Simple self-interest dictates that they will keep perpetuating expensive TV ad buys as long as campaigns keep signing the checks. But there is a real question of the continuing utility for candidates, especially in primary contests where viral videos can be both less expensive and more effective. Like Wile E. Coyote, they will keep running until everyone else recognizes that there is no ground beneath their feet.